Aus Bio is uniquely placed to develop the next generation therapeutics to combat influenza as Aus Bio’s Senior Scientists were closely involved, with others, in the design and synthesis of the first neuraminidase inhibitor. The first generation neuraminidase inhibitor known as Zanamivir or Relenza® was marketed by gsk. Sales revenue for 2009 was more than US$500m. Oseltamivir (Tamiflu®) and Zanamivir (Relenza®) are known as “first generation” neuraminidase inhibitors and have a unique Mode of Action. Unfortunately, but as predicted many years ago, there is now the problem of viral resistance to Tamiflu®. The aim of this challenging project is to both design and synthesise new anti-influenza compounds that will result in improved therapeutic outcomes. Many Aus Bio MD2009 compounds have been designed, synthesised and evaluated. These potential drug candidates have a different mode of action from the presently available anti-influenza drugs, e.g., Oseltamivir (Tamiflu®) and Zanamivir (Relenza®). 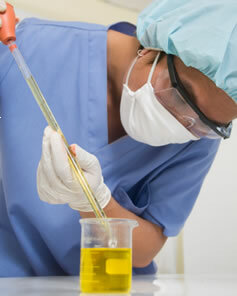 In vivo (animals) work has now been carried out with numerous Aus Bio compounds. Very promising results have been received. These results showed that the Aus Bio compounds had superior potency and activity in in vivo models compared to a well-known neuraminidase inhibitor. This work is continuing and is supported internationally.